When it comes to software updates for the mobile devices on their network, Verizon might just be the slowest moving company on the planet. It was almost a month ago to the day that we first heard about Motorola rolling out an update to the Moto X that would address some of the issues that the camera was having. AT&T, T-Mobile, Sprint and US Cellular have already pushed the update, but those in Motorola’s Feedback Network on Verizon might have a surprise waiting for them when they turn on their phone this morning. 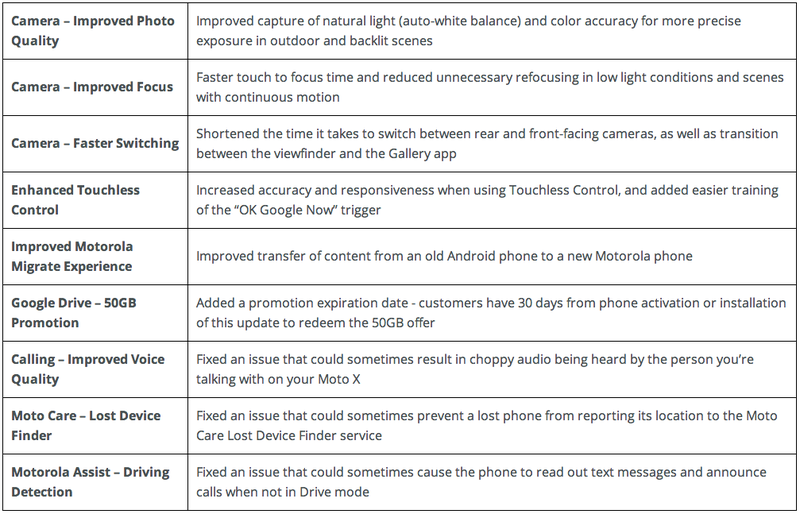 The main focus of this update (build 139.15.1) is to dramatically improve the camera that so many people had been complaining about since the phone’s launch. We have tested the new software against the old and it is a very welcome improvement so far. One interesting thing to note; soak testers were required to check that they would be ok with losing root if they wanted to take part in this test. We are getting reports that after the update goes through, root access is still available. It does not look like Moto has patched the exploit that apps like MotoRoot use (read update below). 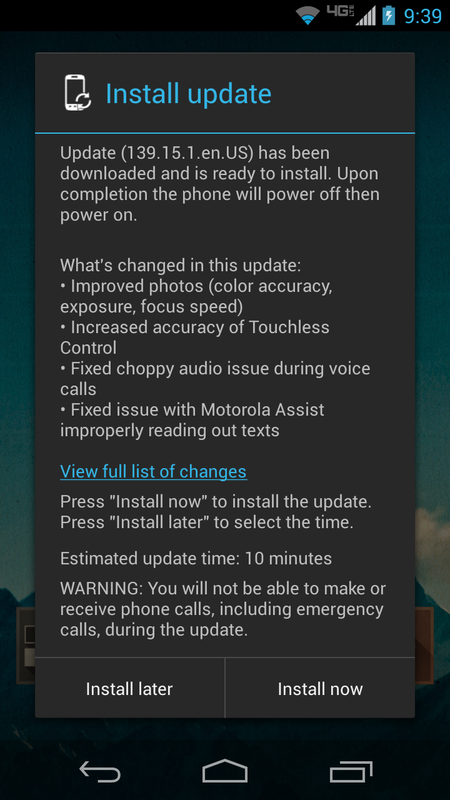 The update also enhances Touchless Control, improves the Moto Migrate experience, betters call voice quality (fixes choppy audio), and fixes a bunch of bugs. Unless there is any major hiccups with this update, we could be seeing this update rolling out as the final software anywhere within the next week or so. Cheers A, P, E, N, D, M, J, and T!